Through a road safety initiative, Hindustan Times and Hero We Care have joined hands to help affected students get access to scholarships. Have you ever come across someone who has been the victim of a road accident that has completely crippled their ability to lead a normal life? Or, maybe, someone who is unable to provide for his/her children because of a disability caused due to a road accident? The meeting perhaps left you feeling helpless and, maybe, even hopeless. Thankfully, not all is lost. As part of ‘Hero We Care’—Hero MotoCorp’s latest CSR initiative to increase awareness about road safety and responsibility—the company has teamed up with scholarship portal Buddy4Study to ensure that road accident victims and/or their dependents receive the right resources. Why do we need more scholarships? 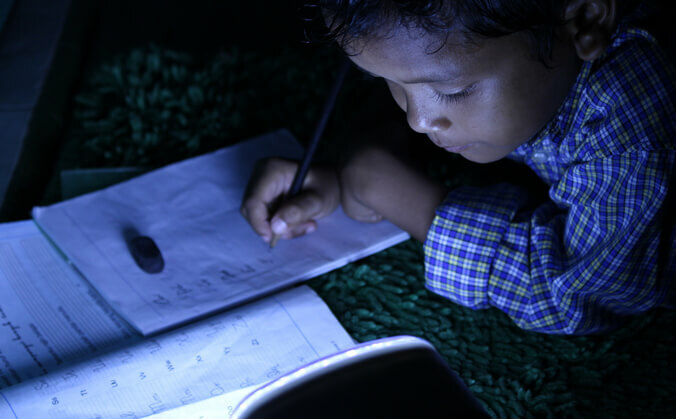 For decades, access to education has been one of India’s most pressing challenges. Even with schools and colleges expanding across the country, the dropout rate of students hasn’t reduced. Reports reveal that the dropout ratio of students between classes 1 and 10 is 47.4% and that from school to college is an astounding 78%. Not surprisingly, the most common reason for the same is a student’s or his family’s inability to afford tuition. This, in turn, leads to loss of employment and financial hardships. Social currency is also lost, as a dropout loses out on a network of support from friends and family. You can’t change someone’s past, but you can give them a chance at a future. There are hundreds of scholarships that are offered to students who are unable to pay for their schooling. The portal Buddy4Study is a one-stop destination for such financial aid. It has hundreds of scholarship opportunities for students of all ages and backgrounds. If you know someone who has had a road accident or a breadwinner who has been a victim of one, you can nominate them for a scholarship on Buddy4Study. The ‘Hero We Care’ campaign will enable over 200 children and young adults receive scholarships through the Buddy4Study platform. The aim is to ensure that no one who has been a road accident victim should let that incident dictate the rest of his or her life. Road accidents can be a tremendous tragedy in a family; however, thanks to this initiative, they needn’t be permanent ones anymore. To nominate someone for a scholarship, please send his/her details to htbrandstudio@gmail.com, with the subject line as ‘Hero We Care scholarships’.